Over the past year or so, we've seen the Raspberry Pi mini-PC used for some very cool projects, including a Lego-bot, all-in-one PC, 3D printer, and even a drone. Now we have another intriguing use for the Pi: An automated personal assistant. Two Princeton University students have a new open source project called Jasper that is basically a Siri or Google Now clone running on the Raspberry Pi. It's an always-on system constantly waiting for voice commands that you can hack together to use in your home. The idea is to let Jasper carry out any kind of automated task you can think of using voice commands, such as reading you news headlines or social networking notifications, or sending commands to automated equipment. Don't expect to hear the smooth tones of Apple's personal assistant. Jasper's speech is very robotic, sounding more like Joshua from the 1983 movie WarGames than modern personal assistants on smartphones. The good news for tinkerers, however, is that Jasper requires very little in terms of equipment. The complete hardware specs include a Raspberry Pi Model B board, USB microphone, a 4GB SD Card, a wireless USB adapter, a micro-USB cable, an Ethernet cable, a USB wall charger, and speakers—stuff most tinkering tech geeks probably have already. Right now, the Jasper project only offers a limited set of functions, such as delivering the time, weather, news, checking your gmail account, and playing music from Spotify. Since this is an open source project, however, Jasper also comes with a developer API that lets anyone program new uses for the software using the Python programming language. Jasper is most definitely a hackerish project meant to appeal to Raspberry Pi fans looking to turn their single board PC into a rudimentary version of J.A.R.V.I.S., Tony Stark's automated butler in the Iron Man movies. 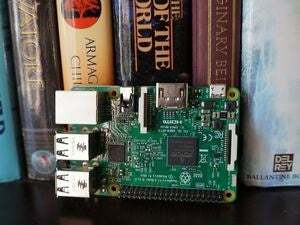 But with all the interest lately in smart home appliances such as Nest and the Staples Connect platform, Jasper just might inspire a few more people to start messing around with Raspberry Pi. This story, "Meet Jasper, an open-source, Siri-like virtual assistant for Raspberry Pi" was originally published by TechHive.